Hello everyone. Easter is right around the corner and that means spring season too. Finally!! Because after the brutal winter that we've had this year, I am so READY for springtime. 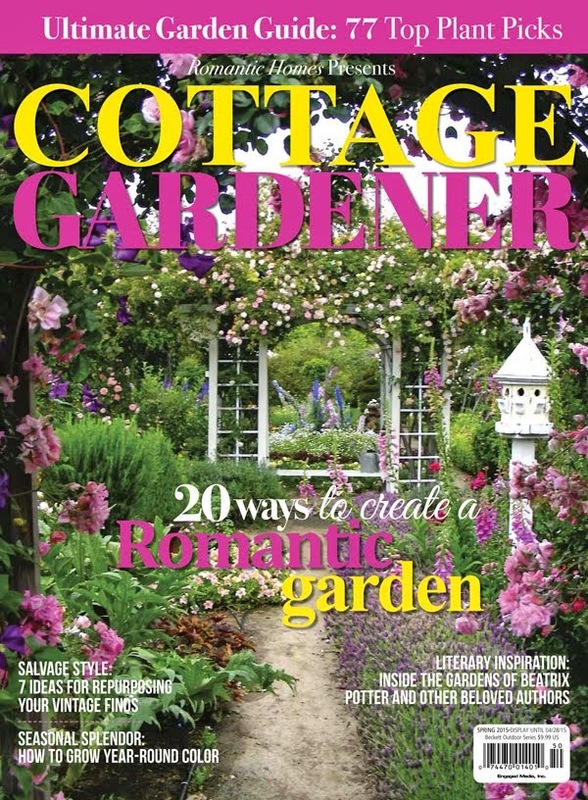 The anticipation of warmer days and colorful blooms in our garden is definitely a mood changer for me. 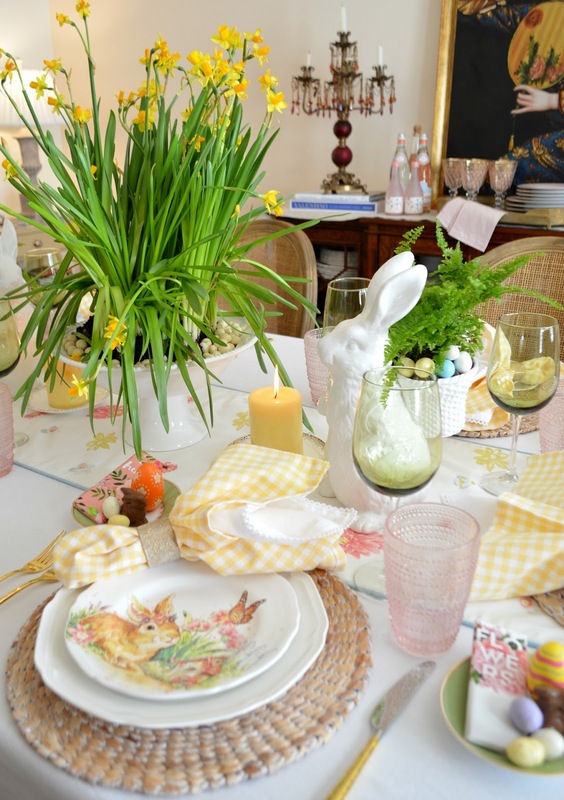 Today, I am excited to share this Sunny and Fresh Easter Tablescape that is sure to bring on the spring vibes!!! 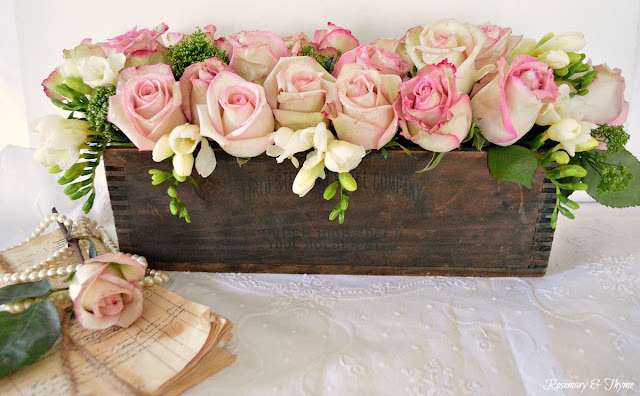 When I first thought about the Easter Table I wanted to create, I knew that I wanted to use Spring Flowers. What says Spring more than sunny and bright daffodils? Nothing I tell you! And since we have been having such a terrible winter here, I thought I would bring the garden indoors! I set off to our grocery store and found potted Daffodils on sale for $1.50 each. SCORE!!! There were some pretty ferns too that I thought would work with my theme too. I went home and planted the pretty daffodils in a Pedestal Fruit Bowl. The small ferns were tucked inside my cute bunny planters form Pottery Barn. 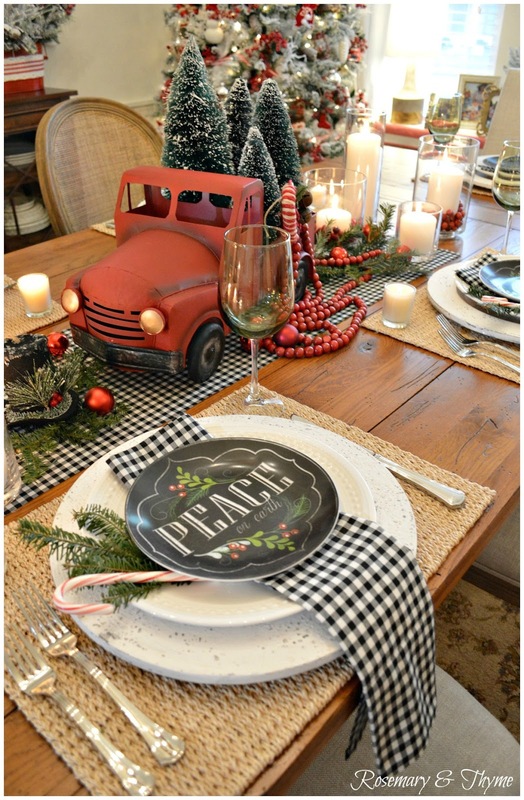 I am all about dressing a table with simple placemats but sometimes, a simple tablecloth is necessary. They add softness and elegance. 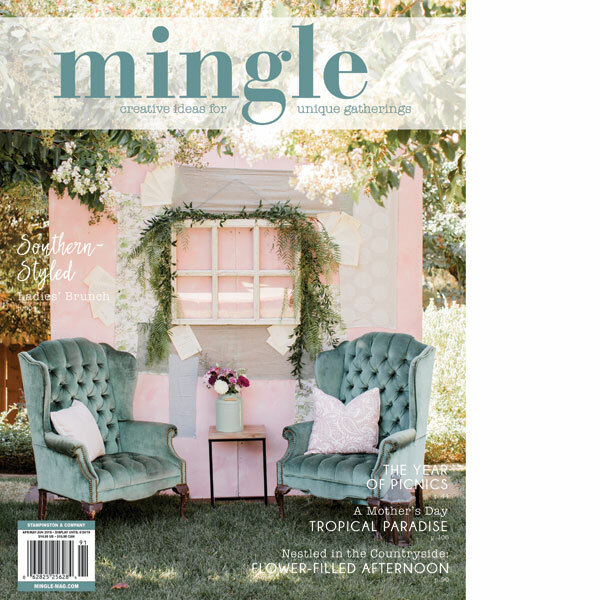 While a runner ties in your tables theme and color scheme. For this table, I used a simple white cotton tablecloth with a runner featuring flowers in brilliant color combinations. 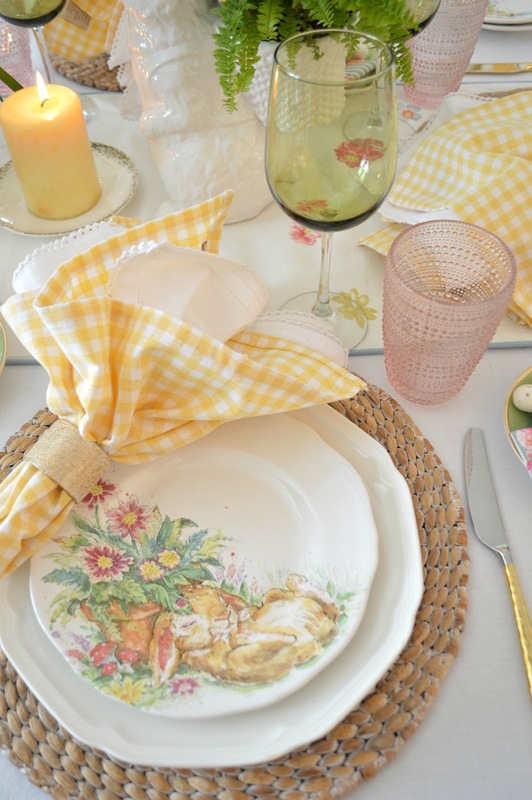 Yellow and white gingham napkins enliven the place setting, giving it personality and a fun farmhouse feel. 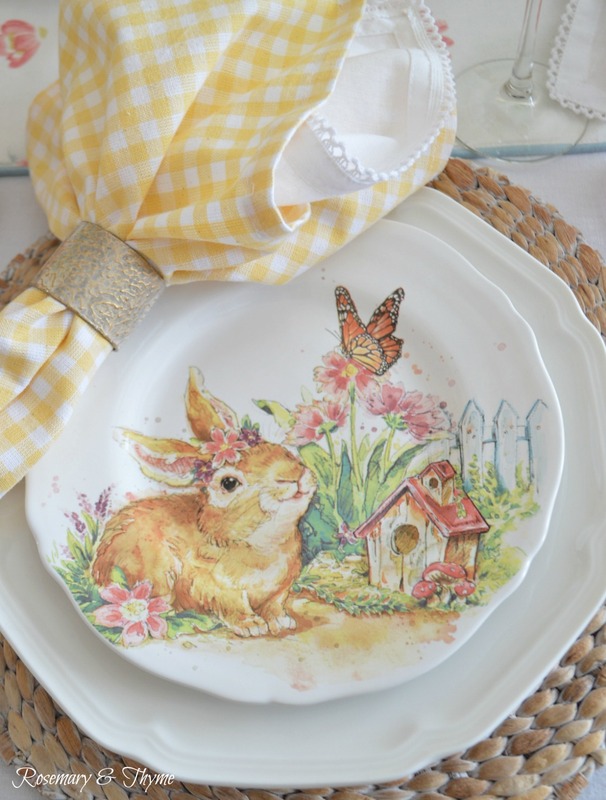 On a recent trip to Pier 1, I came across these adorable bunny salad plates. It is their Hop Town Bunnies Collection. Aren't they the cutest? I just couldn't pass them up!!! Fast forward to today, and they are perfect pieces of artwork adorning my place setting. They are definitely conversation starters and easy on the eyes. My place setting begins with a natural fiber place mat, topped with a classic white dinner plate. The plate stack is finished with the bunny salad plates. 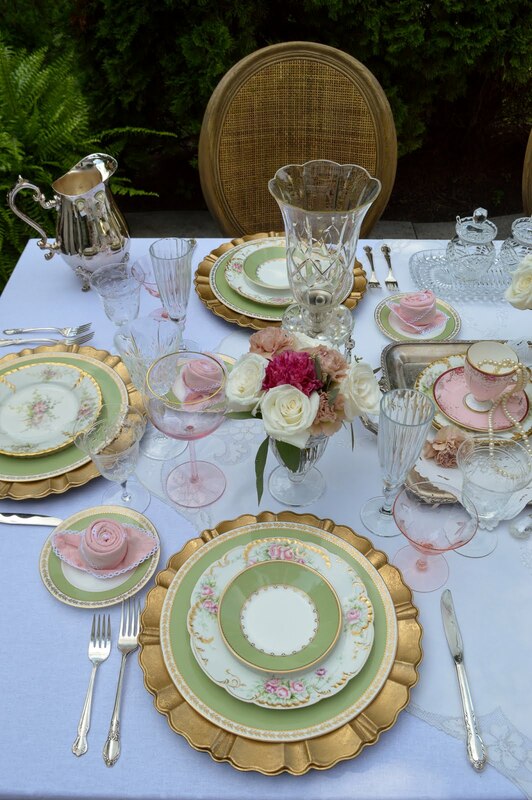 A pink tumbler and green goblet compliment the colors on the salad plates while gold flatware add interest. 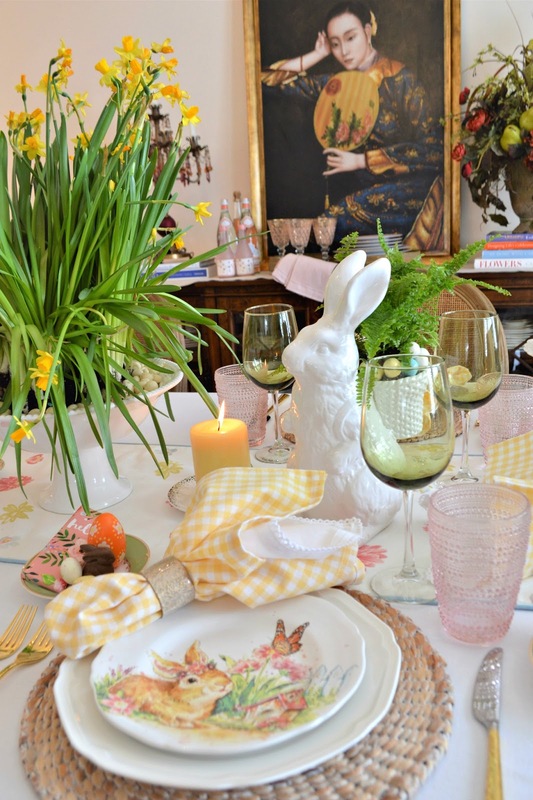 Well sweet friends, I hope to have provided a little inspiration for your Easter Table. 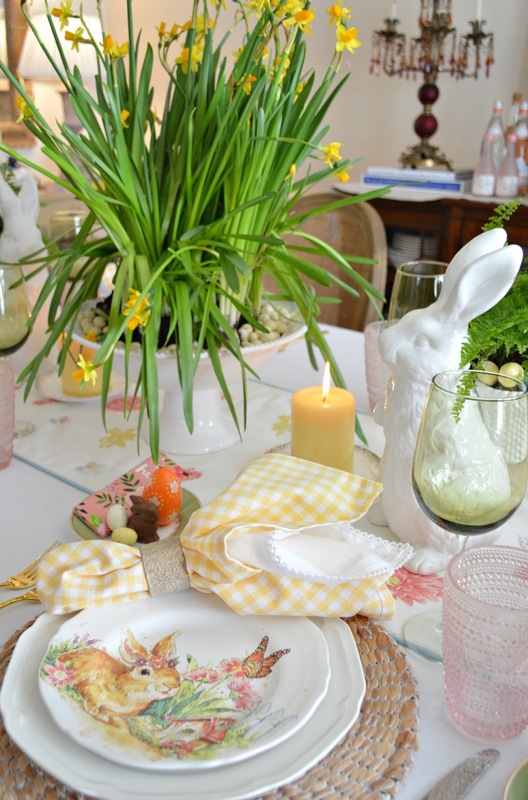 Thank you so much for stopping by and checking out my Sunny & Fresh Easter Table today. Thank you so much. I appreciate your kind words and visit. 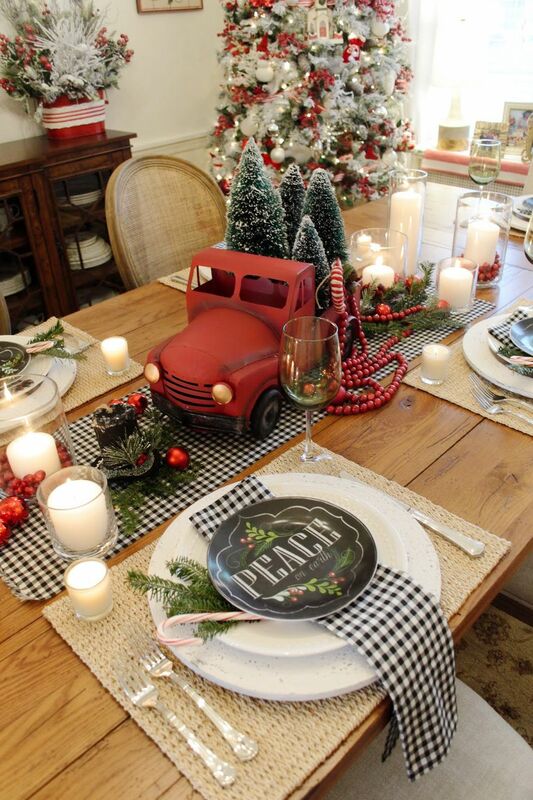 Oh I love this tablescape! You were so lucky to find these bunny plates - the one on the bike makes me smile and he reminds me of Peter Rabbit. Yellow gingham is always in my heart. Thanks for the inspo, I only hope I can put together a table that comes even a little close to yours for Easter. Hugs, x. Thank you so much. Your kind words brought me much joy and these bunny plates definitely make me smile. I am sure your table will be just as lovely. Wishing you a blessed an happy Easter. P.s. thanks for the mention on the forum page recently, and for your kind words. 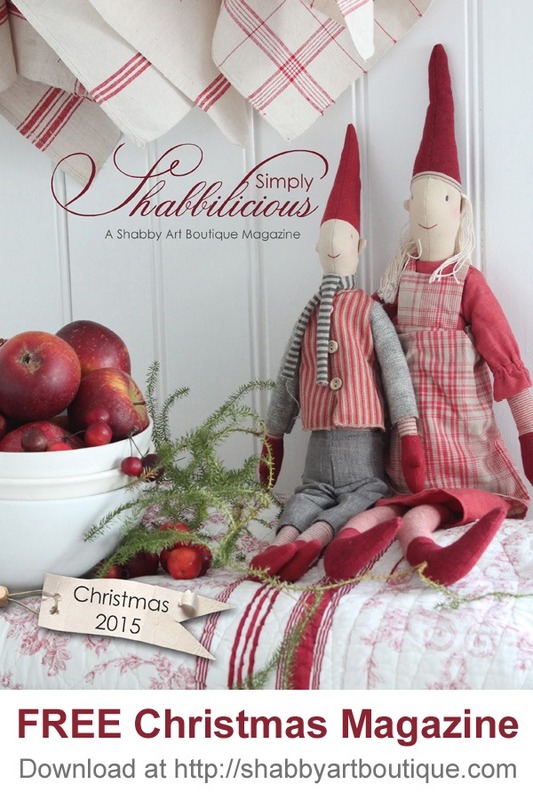 So pleased you are enjoying my blog, please pop by again soon! Thank you so much Cindy. I appreciate your kind words and visit. 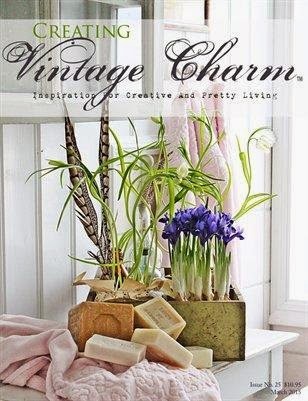 Very fresh and springy, Janet. I love it! Thank you so much Rita. I appreciate your kind words and visit. Wonderful table!Love the bunnies plates!! !Really inspiring! Thank you so much Louca. I appreciate your kind words and visit. 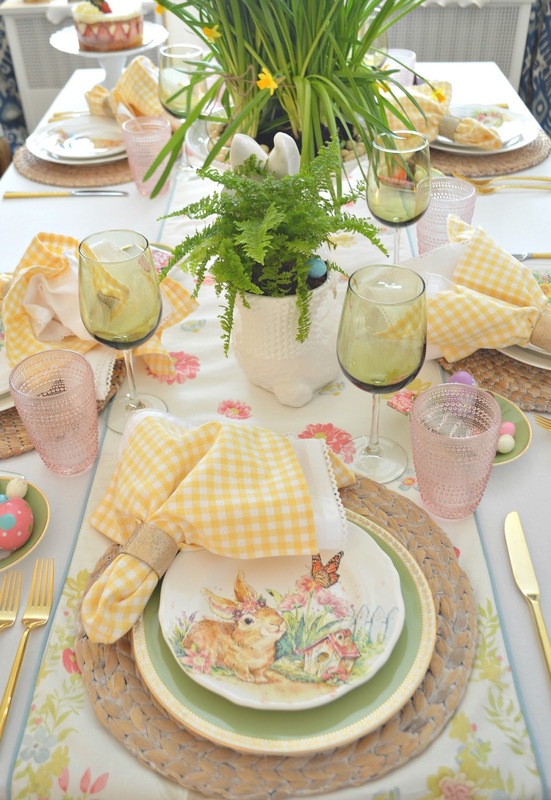 By far one of THE cutest and best Spring/Easter tablescapes of this season!!! I saw those plates at Pier 1 yesterday. I’ve been told I had better not bring another dish into this house, so.............! (That’s alright. He doesn’t really know all I have anyway, so there will be plenty of newbies to get in here!🤫) The gingham napkins are another outstanding element! So Spring-ish! Is that a word?🤔 Of course, the daffodils make me yearn just that much more for sunshine and blue skies! Well done, young lady!!! Have a happy week! Thank you so much Alycia. Your comment made me smile because my hubby told me the same thing. But I just can't help it!! It's not as bad as buying shoes and handbags right?? I appreciate your kind words and visit. Your comments are always a delight!!! I am in love with those bunny plates! Thank you so much Roseann. I appreciate your kind words and visit. 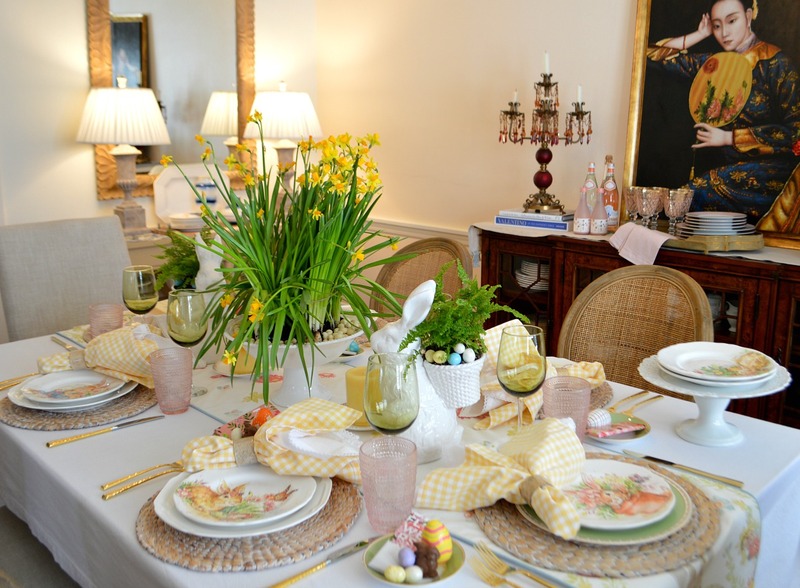 You decorated the table so pretty for Easter! I love those bunny plates too. Thanks for sharing at our Cooking and Crafting with J & J. Thank you so much Julie. I appreciate your kind words and visit. 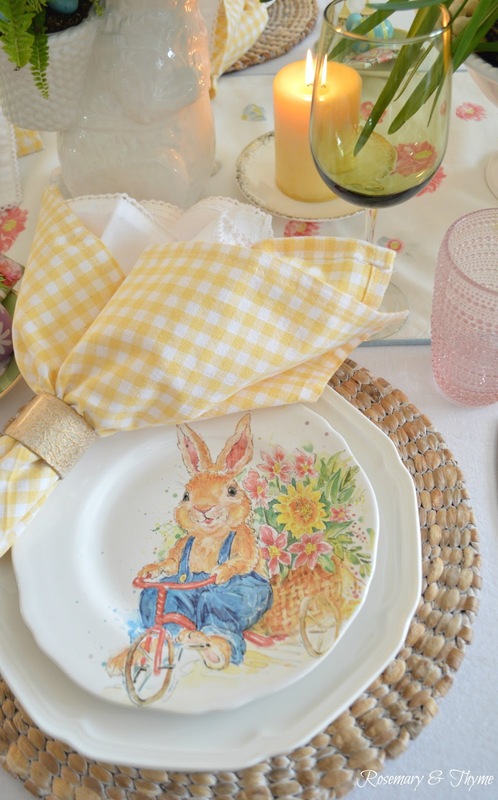 These plates are simply adorable Janet and mixed with the yellow gingham napkins you have created such a beautiful spring and Easter themed table. 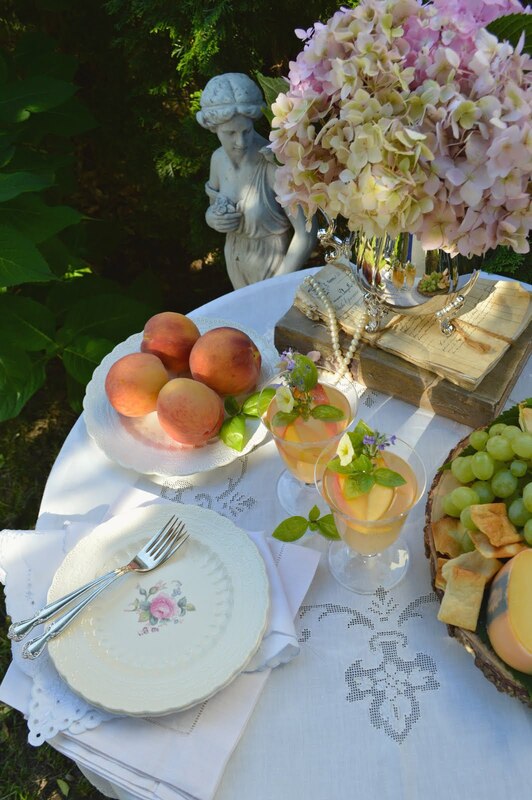 Thank you for sharing this lovely tablescape at Create, Bake, Grow & Gather on Shabby Art Boutique this week. 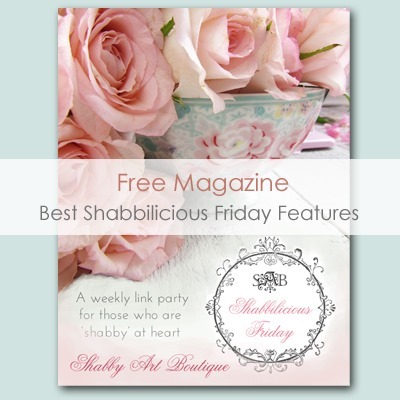 I'm delighted to be featuring it at tomorrow's party and pinning too!! Thank you so much Kerryanne. That means so much to me!! 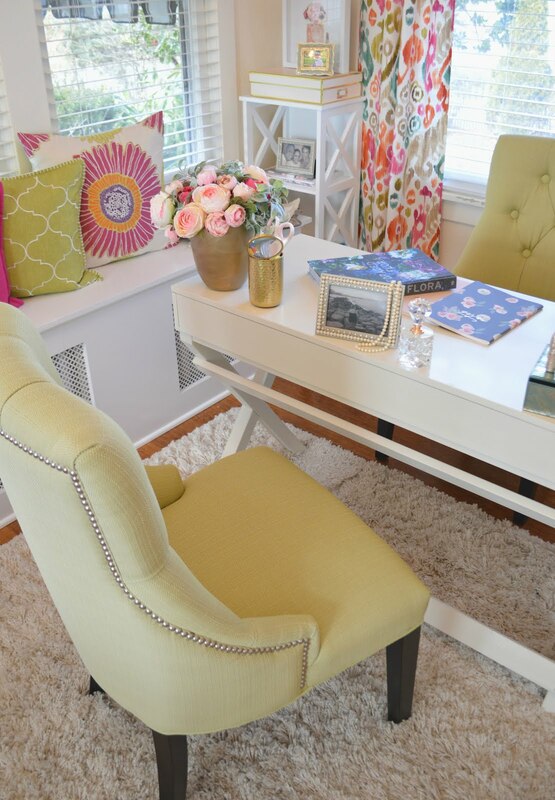 Your kind words are continued support are truly appreciated..
Lovely pictures and lovely table. Have a Happy weekend. Thank you so much Sandra. I appreciate your kind words and visit. 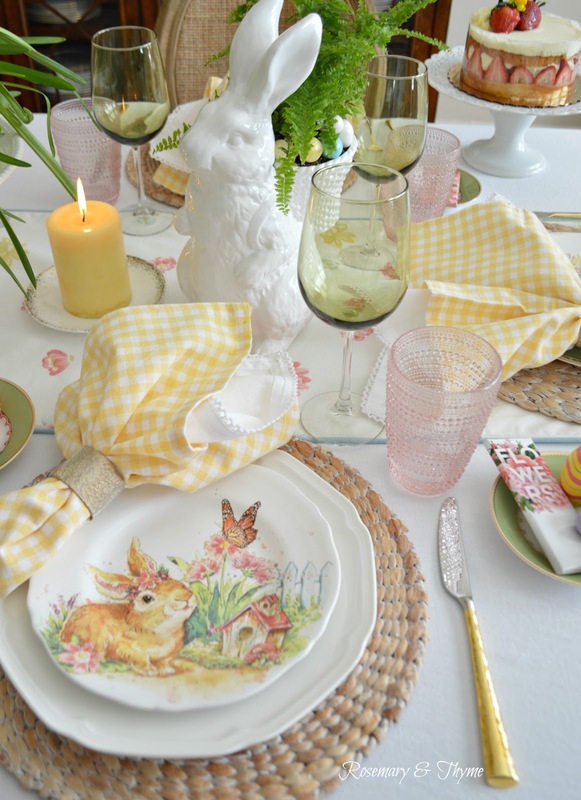 Beautiful table and I love the bunny plates. I keep looking for daffodils. Hopefully this week they will have them! Thank you so much Pinky. Daffodils were plenty by me thank goodness. I appreciate your kind words and visit. Wishing you a blessed and happy Easter. 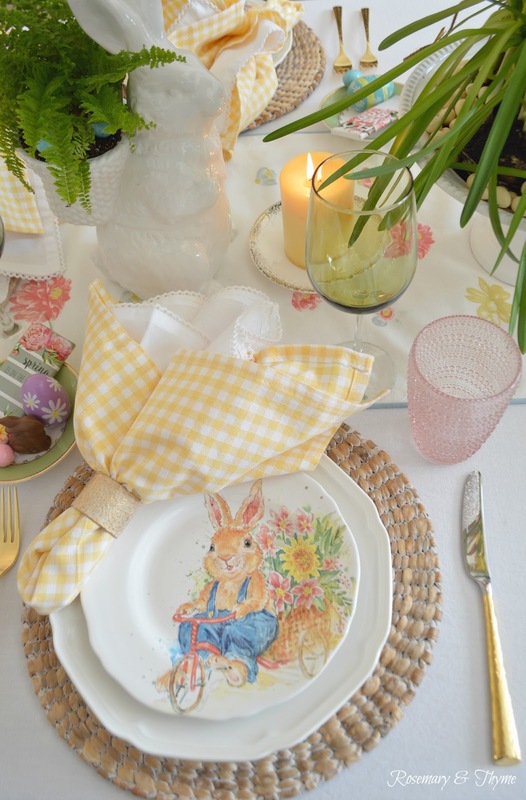 I am smitten with your adorable table setting for Spring and Easter... those rabbit plates are gorgeous, fun and they put a smile in anyone's face. Love all the other elements as usual. Thank you so much. That means so much to me!! Your kind words and continued support are alwaly appreciated..
Wishing you and your beautiful family a blessed and happy Easter. 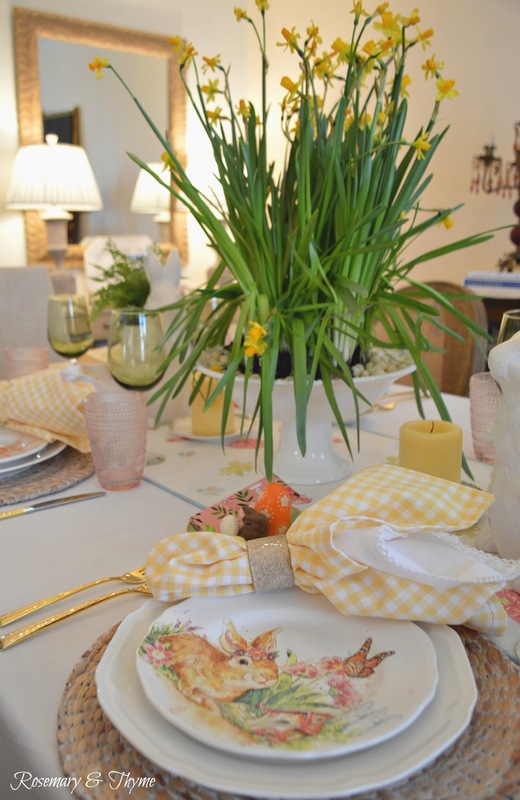 Oh my goodness, your table definitely put me in a Spring mood! 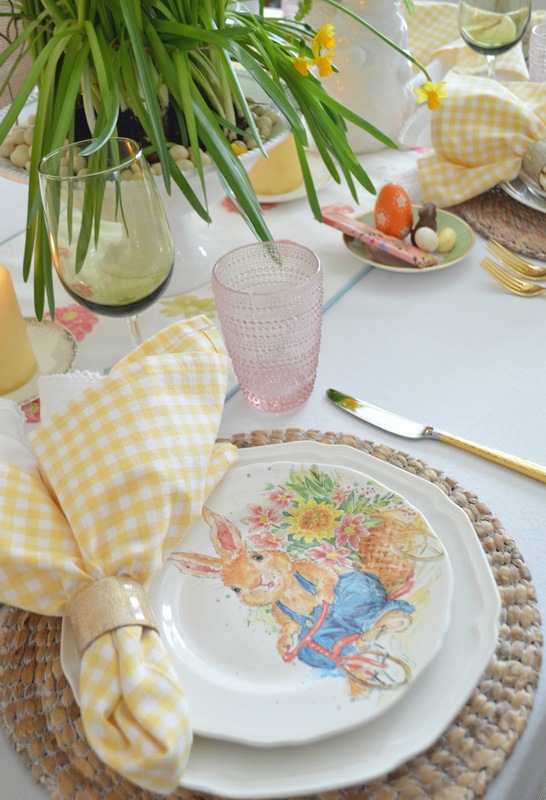 I love everything...the centerpiece, the bunny planters, the gingham napkins and those plates...oh what happy, fun, plates. I don't NEED any more plates, but I WANT those!! Thanks for the smiles! Thank you so much Kitty. That means so much to me. I am definitely with you on not needing more plates but they were too cute to pass up. Thank you again.. I appreciate your kind words and visit. Your table is so beautiful! It has cheered me up on the grey Winter (Spring?) day! 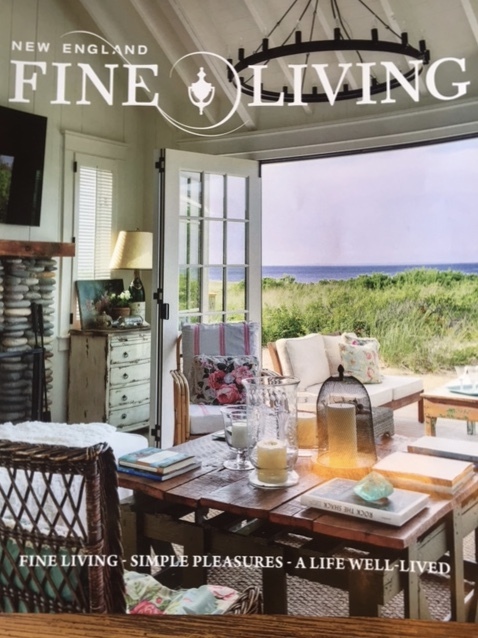 Thanks for sharing with Thursday Favorite Things, we are so happy you joined us ! Thank you so much Angelina. That means so much to me. I truly appreciate your kind words and visit dear friend. Janet, this is so fresh and beautiful! I love every single detail. Thank you so much Stacey. I appreciate your kind words and visit.